How about some addictive, chill out electronica for the week ahead before Christmas. That’s the picture I can think of after listening to Moist the last few days! Not to be confused with the Canadian Rock band of the same name, Moist is from Sweden and the creation of one man army Producer, Songwriter & Musician - David Elfström Lilja. David expertly coaxes dreamy, chill out melodies with a skittering of lush female vocals, shades of kraftwerkish new age ambience and pensive downbeat harmonies – all beautifully blended amidst an air of enigma. Imagine, mind expanding lounge electronica on your speakers! Now, thanks to David, I present below some of my personal 10 favorites for your aural consumption which are already very popular across numerous European radio stations. So, go ahead, lie down, switch off your lights and immerse yourself in electronic moist bliss! If you like Moist, please visit the Moist website @ or like the Moist Facebook Fanpage . 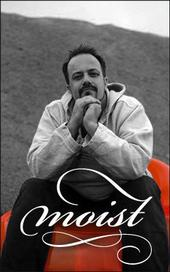 You can also follow Moist and the force behind Moist – David Elfstrom Lilja on Twitter.